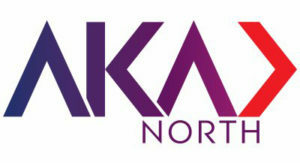 AKA North are experts in developing creative and integrated campaigns for theatre, museums and galleries, live events, education and visitor attractions, to name but a few. 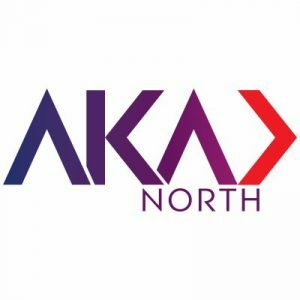 Established for 20 years, AKA North are dedicated to helping clients reach the widest possible audience using a unique blend of intelligent analytics, local market knowledge and a bold, creative vision. Based in Manchester and with a core Northern client base, AKA North are thrilled to be celebrating the exceptional, innovative and vibrant culture that the Northern Soul Awards represent. XS Manchester celebrates everything Manchester from the music to food to football, broadcasting from studios in the heart of one of the world’s great music cities. From iconic bands like Oasis and The Smiths to Slow Readers Club and Blossoms, our presenters are passionate about Manchester and the talent that continues to come out of it. Join the likes of Clint Boon, Mike Joyce and Steve Berry as we supply our great city with the radio station it deserves. Manchester Cathedral has been centre-stage in its city’s history for nearly 600 years. In 1421 Henry V signed a royal charter granting permission for a collegiate church to be built. There are medieval quires and ancient archives, bees on the roof, kangaroos carved on thrones, choristers running to practice and artists drawing in aisles. The cathedral hosts a wide range of events, from classical music concerts served with coffee to wine fairs set to jazz. Do not miss one of the most interesting churches in the land at the heart of one of the most exciting cities on earth. Mancunians, like Glaswegians, are spoilt for choice when it comes to great places to eat and Alston has raised the bar even further by serving the best steak the city has to offer. Their Tweed Valley beef comes from accredited farms in the Scottish Borders, each renowned for producing quality beef, full of flavour and tenderness. The beef for Alston is selected from the top 1 per cent of the Scottish suckler herd and their butcher achieves this standard because his criteria is so refined. To top it off, Alston has a large selection on gins available in their bar, as well as a number of their own gin infusions, each individually garnished and served to perfection. The original Alston Bar & Beef is located underneath Glasgow Central Station and is named after the long forgotten main street of Grahamston Village, which was demolished to make way for the station in the mid-1870s. The Co-operative Bank has always been driven by something different: an ethical approach to banking. As a proud Manchester based bank, they trace their roots back to the Co-operative Wholesale Society in 1872 and are the only UK high street bank with a customer-led Ethical Policy. Their commitment to values and ethics is as important to their customers today as it’s ever been which is why they continue to ensure their customers have a say in how their money is used. Place Experts are a space consultancy with a difference. Acting as an extension of our clients' business, we partner with commercial companies, festival and event operators and experiential agencies to source and manage the spaces they promote in and the activations and concessions they use. What this means for you? Venues and promoters are confirmed quickly and managed without fuss at a cost to you that is unmatchable in the industry. Place Experts are a Manchester-based agency who pride themselves on their Northern roots and plain-speaking, transparent approach to business. We are delighted to support the Northern Soul Awards by sponsoring the Festival of the Year category. Artisan is set in a vast, 12,000 square foot, semi-industrial space on the first floor of The Avenue North, in Spinningfields, Manchester. Cooking at Artisan goes back to basics in the fire – serving flatbreads, meat, fish & salads, it’s casual dining at its best. The unusual 20-foot bar serves handcrafted cocktails, alongside cherry picked beers, wines & spirits in a space that blends artist’s loft studio and concrete warehouse: stripped back & raw, showcasing paintings, print, sculptures, murals & art installations by contemporary artists. Open throughout the day, seven days a week, Artisan serves a diverse menu, with huge roasts on a Sunday, and keeps the city refreshed with drinks and music into the night. Looking to host a meeting or event? Artisan has three unique private dining rooms; On street level, the Drawing Room has indoor and outdoor seating, while the Studio and Gallery provide special spaces upstairs, which cater to all of your needs. The Manchester Salon was inspired after a trip to London for the Battle of Ideas in 2007, and a desire to bring some of the flavour of those very engaging debates to Manchester - at least in between the annual Battle of Ideas festival. The Salon organises discussions that happily move from a problematic or tricky topic in current affairs one month, through a morally difficult subject of scientific research the next, followed by unpicking the tensions between the Arts and demands by Policy wonks. There's no interesting subject the Manchester Salon won't consider. The aim is to capture the essence and nuances of the intellectual and moral problems facing society, challenge modern prejudices and debate solutions. With as many views as there are participants, discussions are often ongoing and carry on more informally in the bar afterwards.